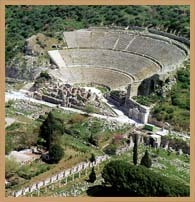 "Western Turkey was the cradle of the early Christian church. With numerous rivers and streams to nourish the fertile land, a large number of populous cities sprouted up in Asia Minor. This area was the centerpiece of Paul’s mission and the area where he spent the bulk of his time. The apostle’s ministry in the region was so productive that it could be said that “all who lived in Asia heard the word of the Lord” (Acts 19:10). The numerous churches established during this time continued to thrive through the bitter persecutions of the Roman Imperial period. Ignatius, a first century disciple of the apostle John, was arrested and brought to Rome for execution. Along the way he wrote letters to several churches in this region including those at Ephesus, Tralles, Magnesia, Smyrna and Philadelphia. 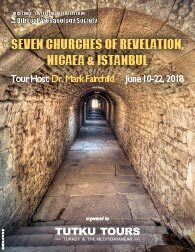 Join me on this trip as we visit these sites and trace the history of the earliest church from Paul to the Council of Nicaea – when Constantine the emperor embraced the faith and the world was forever changed." Luke J. Peters Prof. of Biblical Studies Chair Dept. 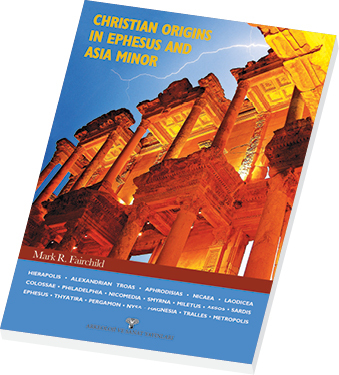 Author of “Christian Origins in Ephesus and Asia Minor”. June 22 Fri Transfer to Airport – Fly Back to New York.